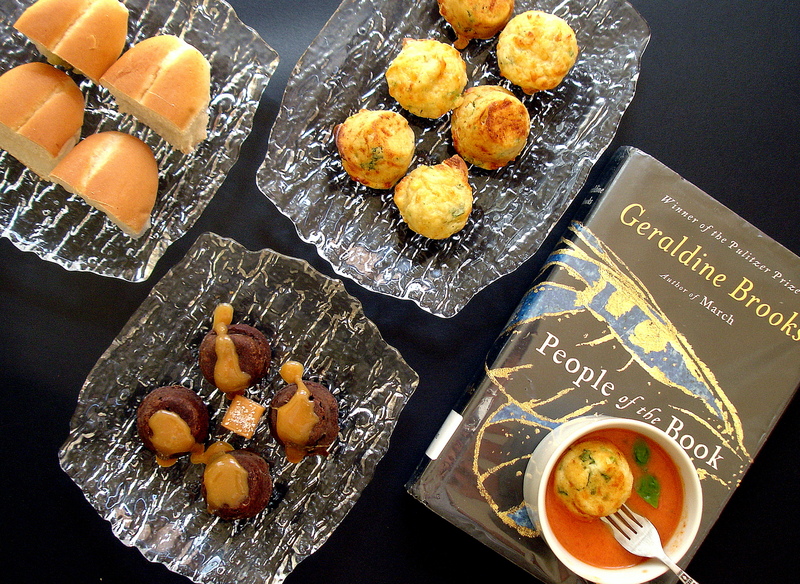 This time for our book club get together we read “People of the Book” by Geraldine Brooks. It is a thrilling history mystery, where the author follows clues [an insect wing, a wine stain, a residue of salt crystals among others] to decipher the provenance and chain of ownership of the ‘Sarajevo Haggadah’, a 14th century Jewish manuscript. Such a manuscript does exist and is on display at the National Museum of Bosnia and Herzegovina in Sarajevo. The author weaves fact, fiction, imagination, suspense, book conservation and repair techniques and a slice of European history, in telling the story of the survival of the Haggadah. It is also the story of ordinary people, Muslims and Christians, who sometimes at great peril to themselves went to extraordinary lengths to save the tiny illuminated Jewish book from repeated threats of destruction. We all loved the book and it was a great evening spent with friends talking about books and family and trading stories from our different cultural experiences. It was a fall like evening, so I greeted my friends with hot creamy Tomato Soup. 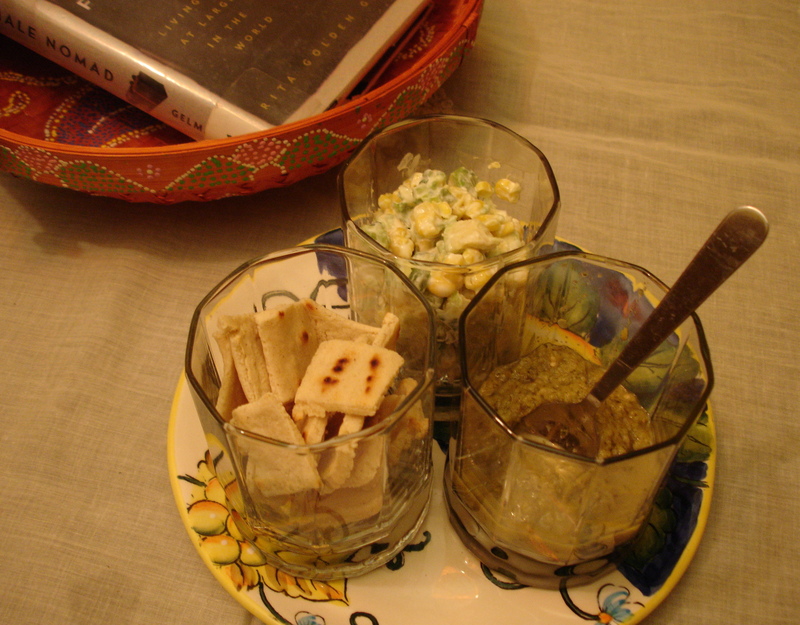 I served Pickled Cucumber and Green Tomato Sandwiches along with Cheese and Corn Puffs. For dessert, I had made Salty Caramel Lava Cakes. 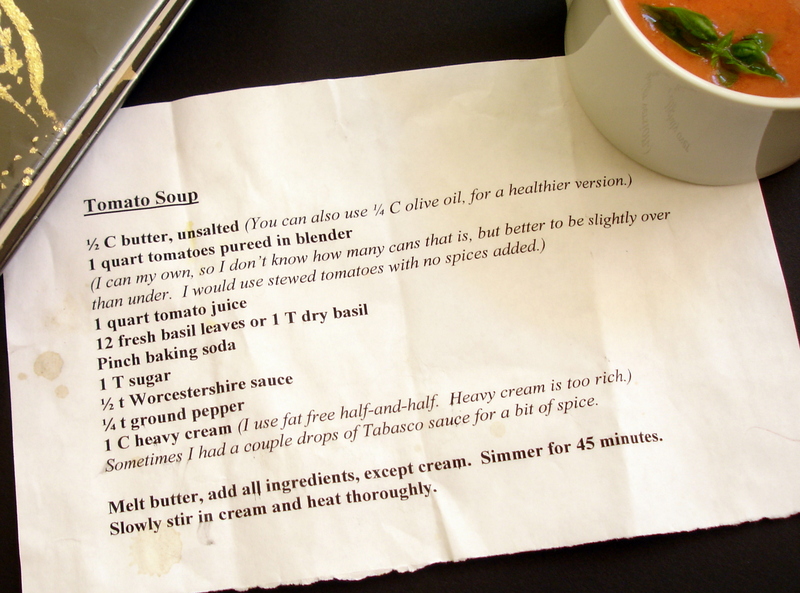 The recipe for the Tomato soup comes from one of the parent volunteers at my children’s school. It was left taped on the crock pot without a name so I am unable to give due credit. 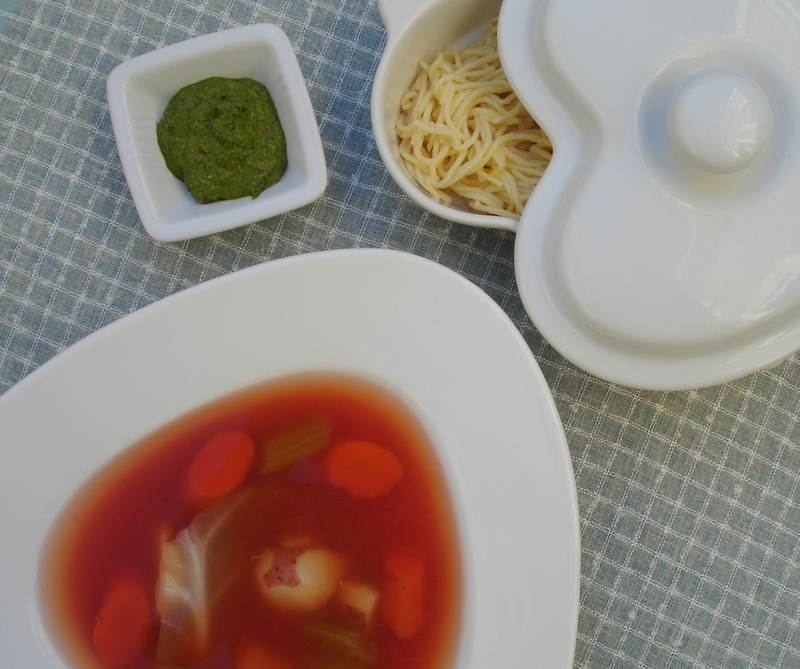 You will be amazed at how rich and satisfying this soup is, considering it is so easy to prepare. I don’t know what the baking soda does to the soup as I have made it with and without and couldn’t tell the differance. 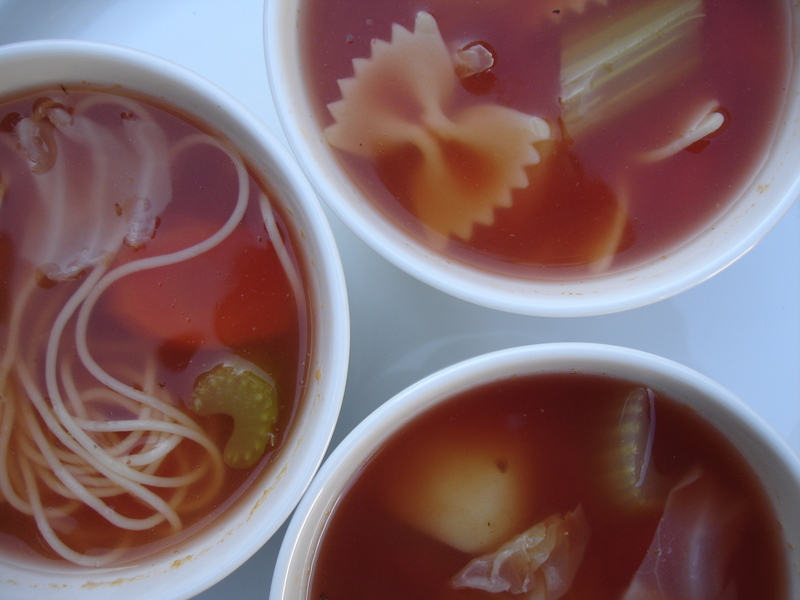 This soup is also a good template to get creative with and make it your own. The only thing to remember is to use equal amounts of tomato juice and canned tomatoes and add sugar, this is very important to balance the acidity and then add cream or half and half per your taste. You can skip the butter altogether if you wish. Add any spice or herbs you want. I have even grated onions into the soup. I skip the Worcestershire sauce as it has anchovies in it. 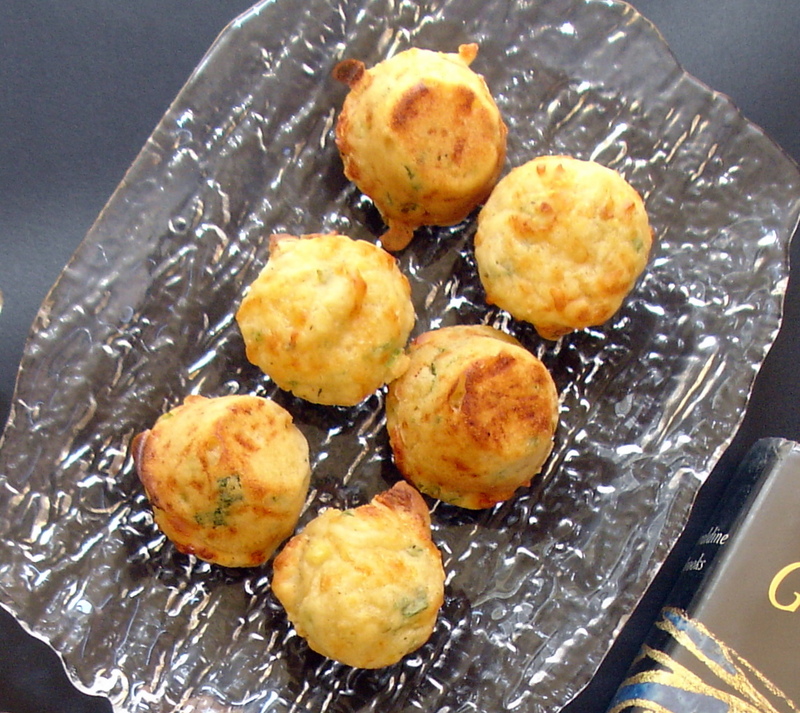 I adapted an Eggless Cheese Puffs recipe, that I found here to make a very easy snack that even a child can make it. In fact my children did make it and served it to us and waited on us while we chatted! Mix all the above preferably in the order the ingredients are listed. Spray and flour a mini 12 cup muffin pan. Divide the batter equally and bake in a preheated 425 degree oven for 12-14 minutes. Insert a skewer and if it comes out clean your cheese and corn muffins are done. I’ll post the Salty Caramel Lava Cake recipe in my next post. The tale of the white tea is surrounded by a certain mystique and enchantment as is the history of tea itself. Legend has it that about 5000 years ago a Chinese emperor and a passionate herbalist drank some boiled water into which some tea leaves had floated, from a nearby bush. Its aroma appealed to his senses and he felt refreshed. The ritual of drinking tea was born! Tea drinking has become an inescapable part of our social culture. Drinking tea in some eras was considered to be an art form. Many swear there is a science to the making of a perfect cuppa. Tea has a reverential place in ceremonies in Eastern cultures has been memorialized in poetry, music, paintings and even treatises. Its health benefits are also well documented, so it is not surprising that tea is the most popular concocted beverage in the world. Now consider the elite of the teas, the white tea. Also called Baicha in Chinese [Bai-white, Cha-tea]. This variety of tea was introduced towards the end of the first millennium. At that time it was only served to the emperor and his courtiers. Common people were forbidden from partaking in this tea, because of its rarity. White tea contains the delicate young unopened buds of the tea plant. The buds are silver in color due to the delicate silvery fuzz found on them and hence the appearance of a white hue which gives the tea its name. 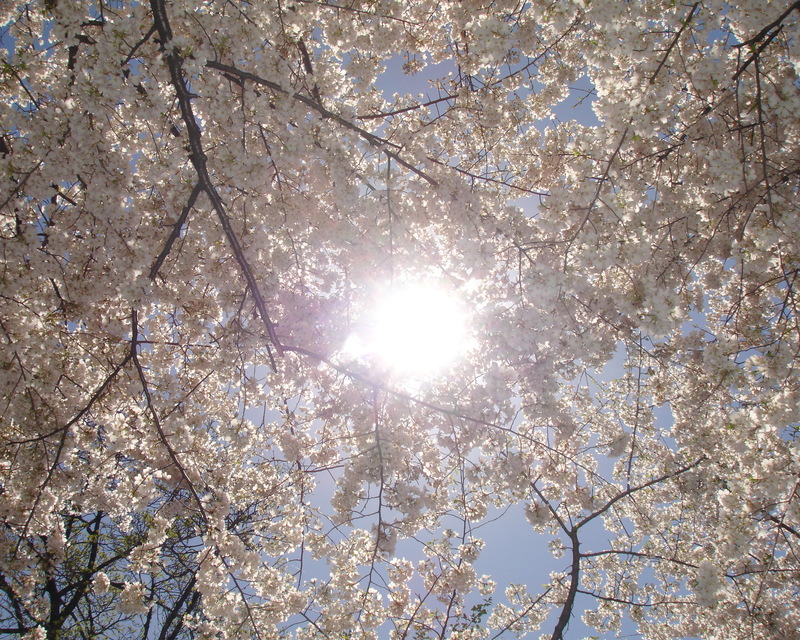 The buds are handpicked in early spring, under certain weather conditions during a small window of time. They are then steamed gently and air dried. 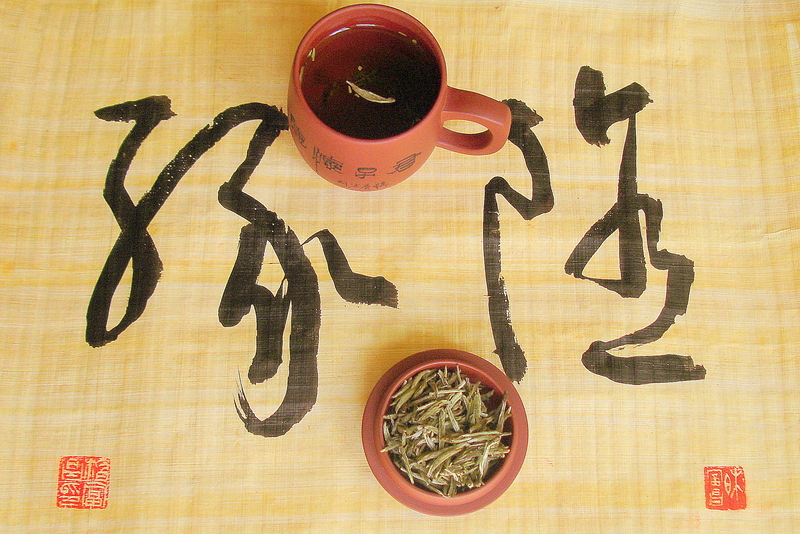 Compared to its black and green family members, white tea is the least processed. Health benefits from drinking white tea are greater than other teas because the natural characteristics are changed the least. It is said to have powerful antioxidants and immune boosting and blood pressure reducing properties among many other health benefits. The brewed tea is pale green and has a delicate flavor and aroma and a subtle sweetness that you begin to appreciate as you get more familiar with the tea. The best quality white tea, which only consists of tea buds, is generally sold as loose leaf tea. 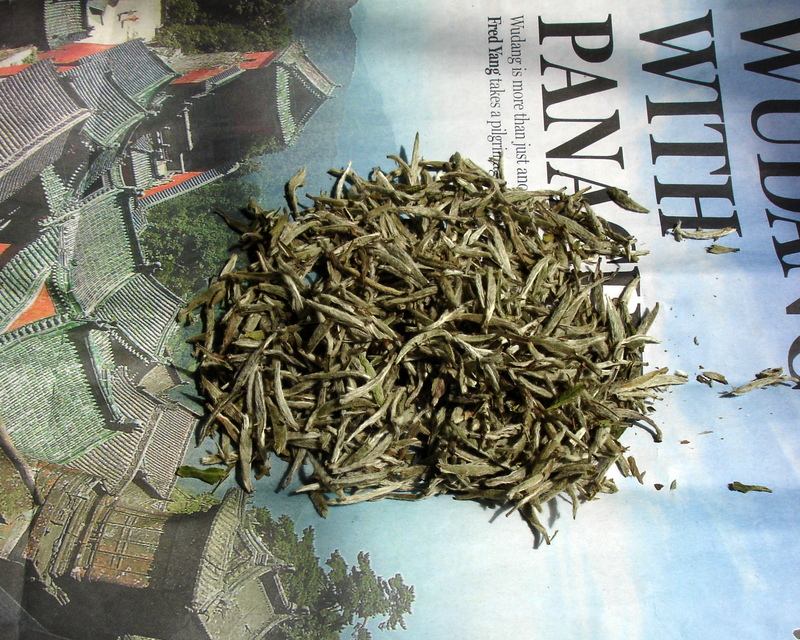 Other grades of white tea have varying proportions of very tender leaves mixed in with the buds. 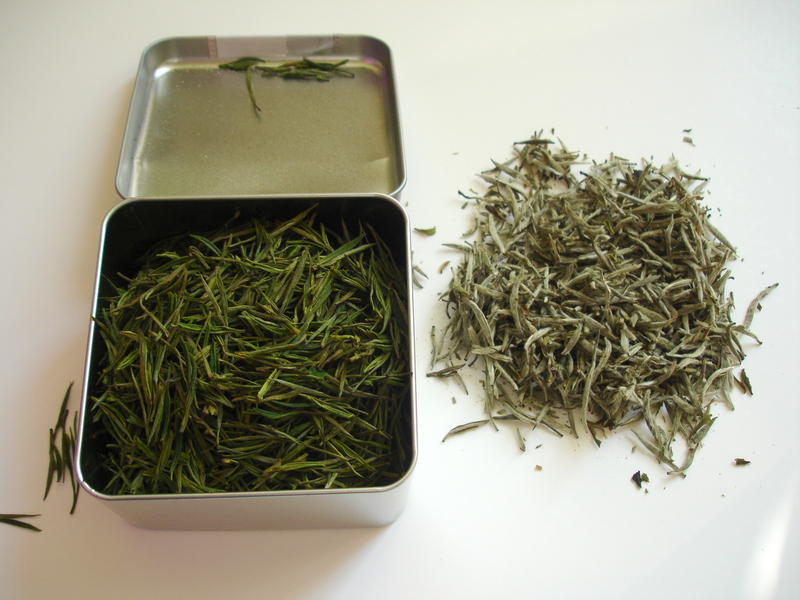 White tea that is available in tins is mechanically dried and packaged and in my opinion has a stronger taste. I steep a couple pinches of Baicha in my cup of hot but not boiling water for a few minutes. I am told you can resteep the tea several times, which is good to know since this tea is very expensive! I was gifted a generous quantity of Baicha by a wonderful Chinese family and I am so appreciative of their generosity. So I raise my cup to the Qiu family in Shanghai and wish them good luck and good health. I think of them every time I have my ‘Jade Water’ in my tea cup that I brought back from China. Here is my third entry for the Sweet Potato Contest under the “Sugar -Free ” Category. Wash and put the sweet potato on a baking tray and bake in a 400 degree oven for about 45-50 minutes till a fork goes through it cleanly. Remove from the oven and when cooled peel the skin and mash the sweet potato and measure out 3/4 cups and set aside. Meanwhile wash the rice and put it in a thick bottomed pan and add 2 cups of milk and turn the stove on to medium. Let the milk come to a boil while constantly stirring the rice so it doesn’t catch in the botom. After the milk has boiled, let it simmer and let the rice cook in it while stirring constantly. It will take about 40 minutes for the milk to be absorbed and the rice to be cooked. If need be add extra milk. Now add the 3/4 cup of sweet potato to the cooked rice and stir. Melt the butter in a pan and turn the heat off. Add the raisins to the butter to reconstitute. Put the butter, the raisins and the half and half in a blender and puree. 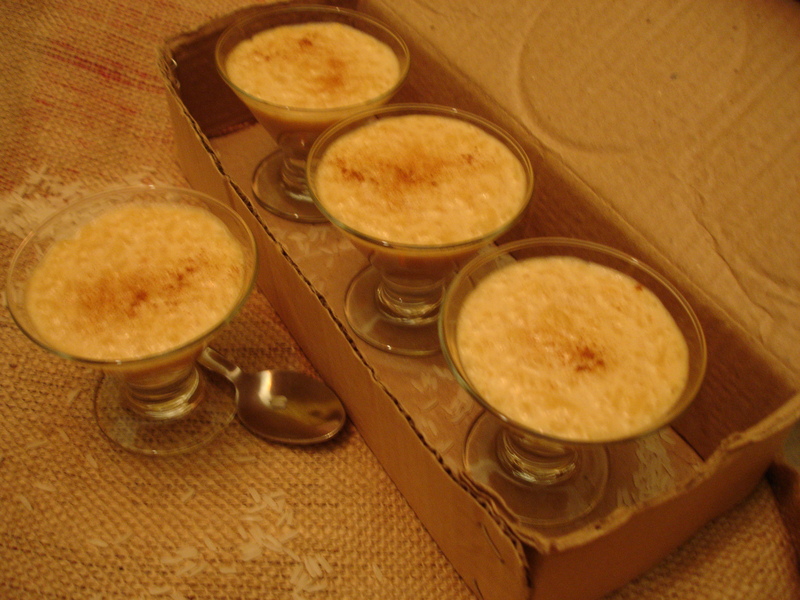 Then add this to the sweet potato milk pudding and heat through. Now toast the coconut lightly in a dry pan along with the sliced almonds. 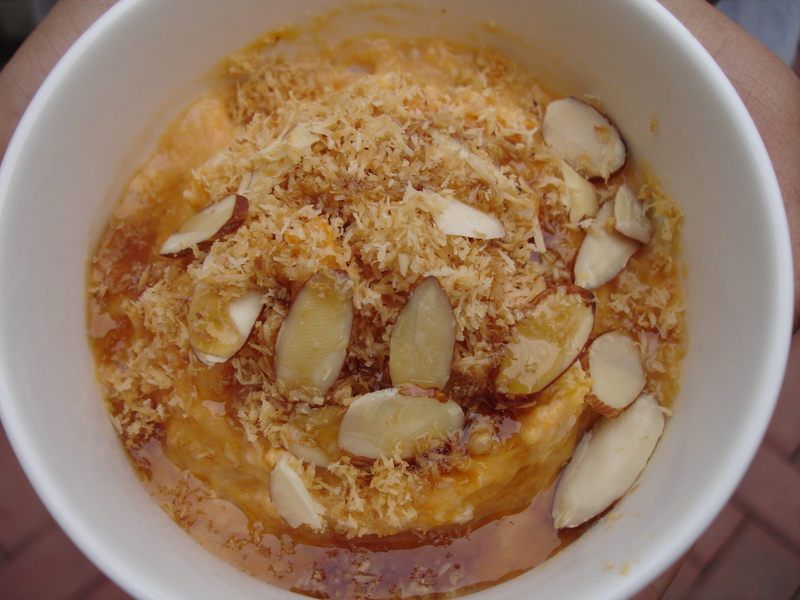 When the sweet potato rice pudding is done, garnish with the coconut and almond. Drizzle with maple syrup. Serve. 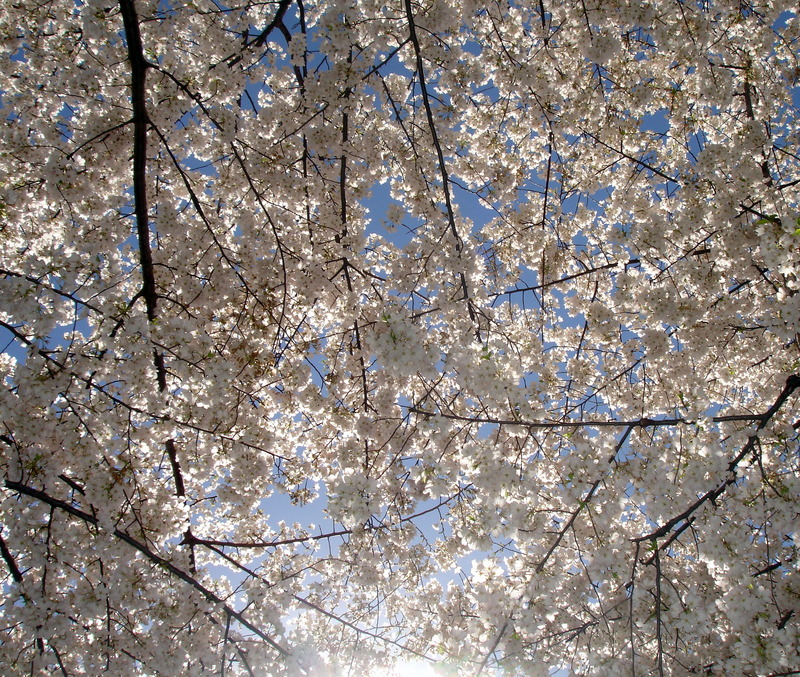 So once again you are the land of cherry blossoms and Zen. I don’t ever need a reason to dream up of something new or unusual to cook at any given time. However for this menu of rustic, everyday food borrowing from the culinary traditions of disparate parts of the world, I needed more than my imagination. The inspiration came from the travels of Rita Golden Gelman. 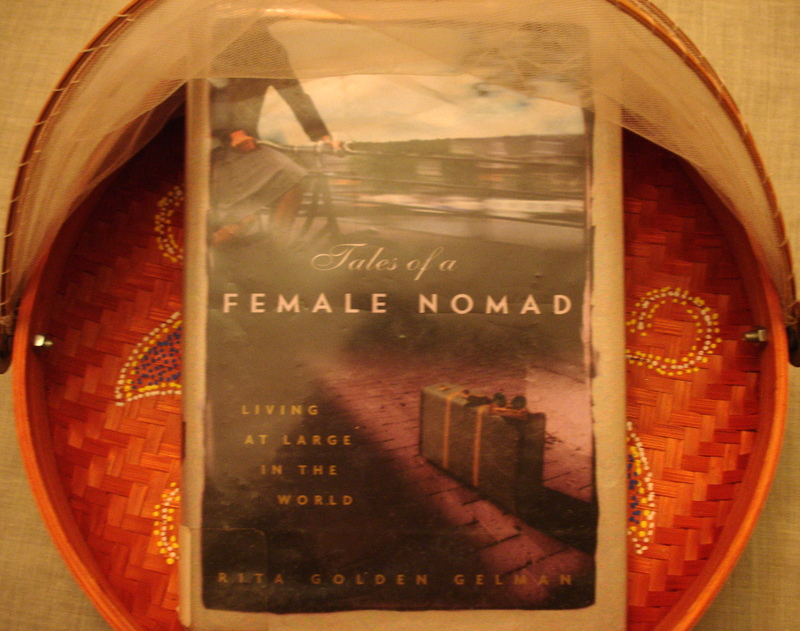 Her book ‘Tales of a Female Nomad’ was our latest book club read. It is a fascinating book in which the author chronicles her life and her experiences as an itinerant traveler. The interesting thing about Rita’s story is her idea to take a short break from her diurnal life to re-evaluate her marriage turns into a nomadic existence till present time, spanning over a quarter of a century!!! While any first person account of such travels would be an interesting read, Rita observes, participates and narrates from the point of view of an anthropologist, giving the book a non judgmental tone of voice. Here is Rita in her own words ”I am a modern-day nomad. I have no permanent address, no possessions, except the ones I carry, and I rarely know where I’ll be six months from now. I move through the world without a plan, guided by instinct, connecting through trust, and constantly watching for serendipitous moments”. Doesn’t that intrigue you? If you love to read about far off places, please get a hold of this book and I’d love for you to share your thoughts on Tales…..with me. This magical scene right outside my front door caused a slight change of plans for our book club meeting. Oh well, we met the next day, we chatted and we ate our way through several continents! Arepa chips, Corn and Avacado mash, Tomatillo Salsa and some Atole de Arroz for dessert as a nod to her South American travels. Her brief stay in Israel was the inspiration behind this plate. 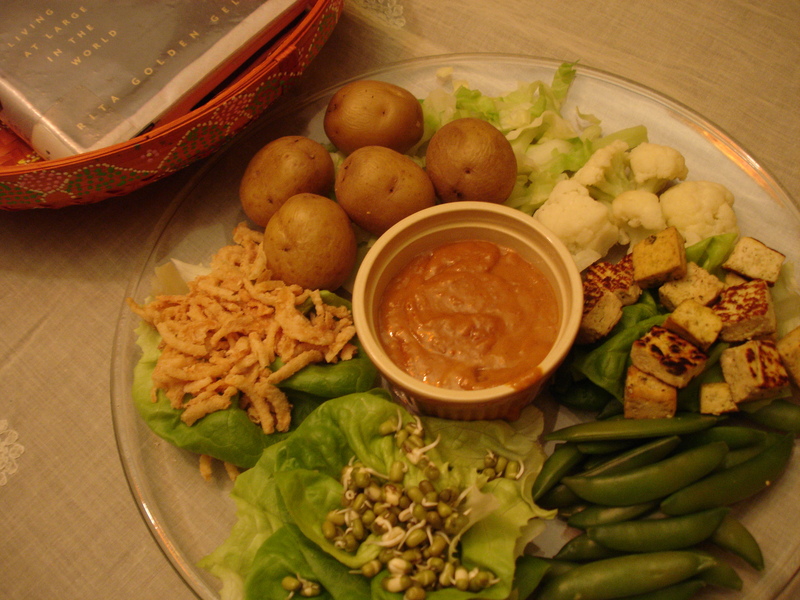 I wandered into a cooking demonstration for Gado Gado at a folk festival a while ago and it was such a great hit at our family table, that I chose this popular Indonesian dish to represent Rita’s extended stay in Indonesia. We also had coffee, Indonesian style, a spoon of condensed milk topped with strongly brewed coffee. Yum. I have to admit to a cop out. I just set out a bowl of Kiwi fruit as I could not come up with anything else for, well you guessed it, New Zealand, where she ‘mussels’ her way through! A special thanks to the group behind the blog ‘This book makes me cook’ where I came across this book during one of my blog travels. Thanks so much for introducing this book to me. This is a follow up to my previous post. 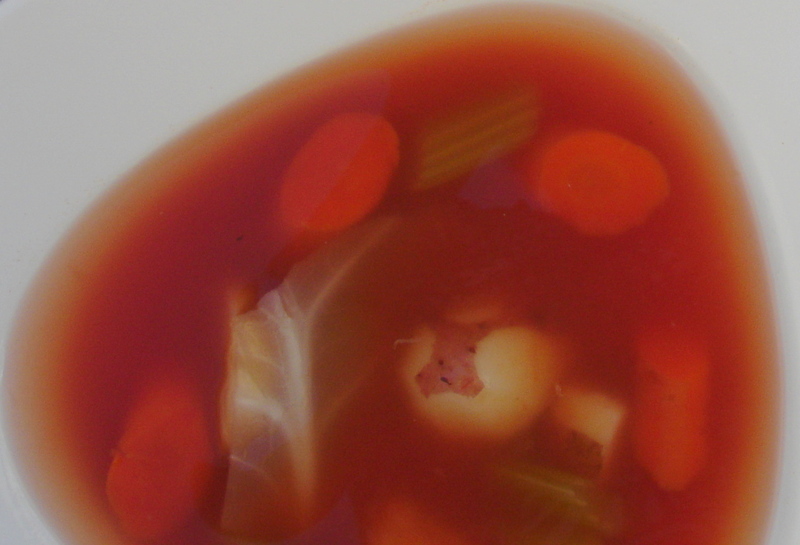 I wrote about making a simple vegetable soup as an antidote to all the overeating that we do during the holidays. Now here is an apple salad with yogurt, a wholesome dish prepared in a simple manner without any cooking to give you the full benefit of all its available nutrients. Foods close to the source from where they come, are the best way to go after unfettered indulgence. We often suffer from indigestion and bloating after a heavy meal. Digestion is very crucial to good health. After every meal our body should be able to process what we eat, give us the energy and the nutrients we require and be able to dispose of the unwanted waste. This basically is the digestive process in a nutshell. Over indulgence, eating processed and very rich foods puts a strain on our system. The digestive process becomes inefficient and leaves residual undigested food in your system. This prevents the next cycle of digestion from competing its full cycle and the stage is set for buildup of toxins. Overtime this build up leads to disorders and makes us vulnerable to diseases. But in the world we live in, it is impossible not to overindulge because of easy availability and an abundance of food. It is also hard to escape the temptations and the convenience of ready made and processed food. 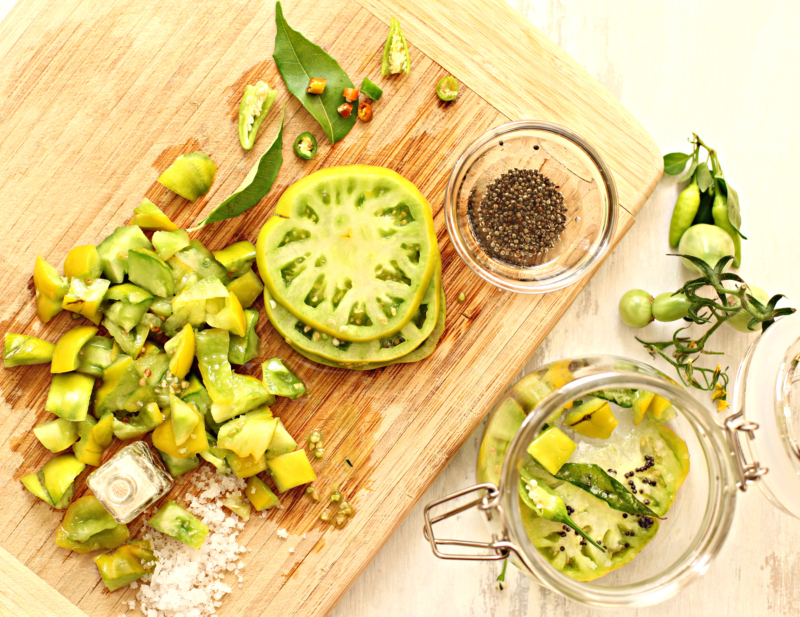 What we can do is take a step back every now and then and partake in a meal with pure ingredients, prepared in a simple manner to allow the restorative power of such foods to get us back on track. Add the curry powder to the yogurt and mix in the maple syrup. Add the bite sized apples to the dressing along with the raisins. Gently mix everything together with your hands. Check for salt and add according to your taste. 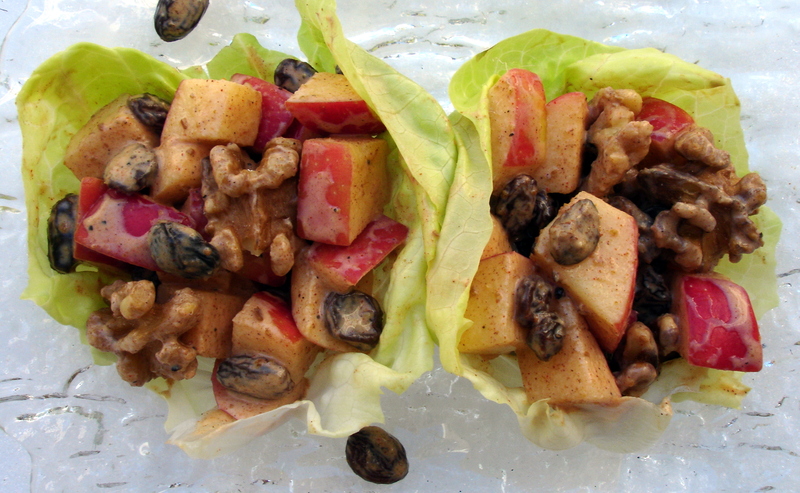 Toast the walnuts, add to the salad before serving. Serve in lettuce leaves. Health benefits of the ingredients in this salad. In many cultures yogurt is relied upon heavily for good digestive health. The benefits of this staple cannot be overstated. Its ‘live and active’ bacteria or probiotics helps populate the intestine with good bacteria needed for digestion. Regular intake maintains this good bacteria in the digestive tract and helps fight toxins produced by harmful bacteria . 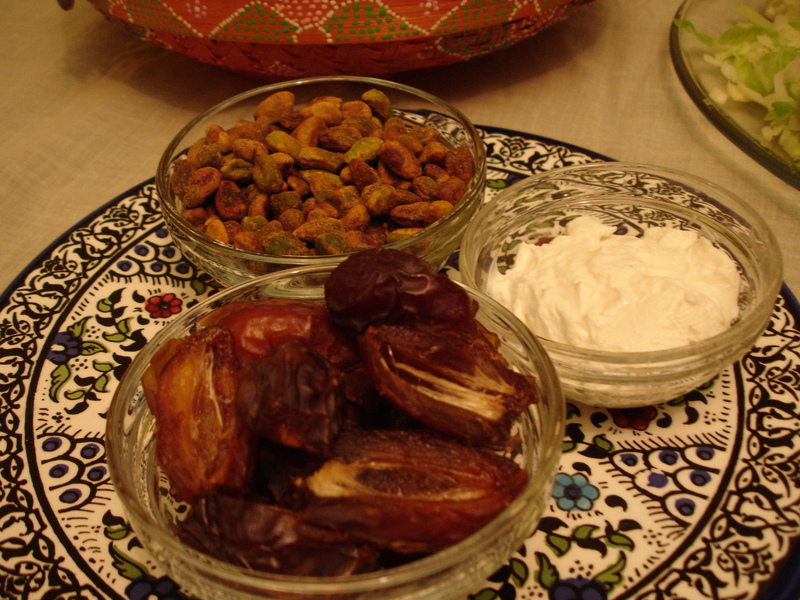 After a fiery and spicy meal, yogurt also calms the inflammation due to the ingestion of spices. Yogurt is also a very good source of protein and calcium. Another natural remedy cleverly used in everyday food. It is used for digestive disorders and stimulates and helps the liver and kidney in the detoxification process. It is of course well known throughout the world as a cough and cold remedy. It is also known to have powerful antioxidant properties and used even in Western cultures in the form of ginger ale/beer to settle the stomach. They are rich in fiber, valuable minerals and nutrients. Fiber absorbs water and makes you feel full and thereby helps you eat less. 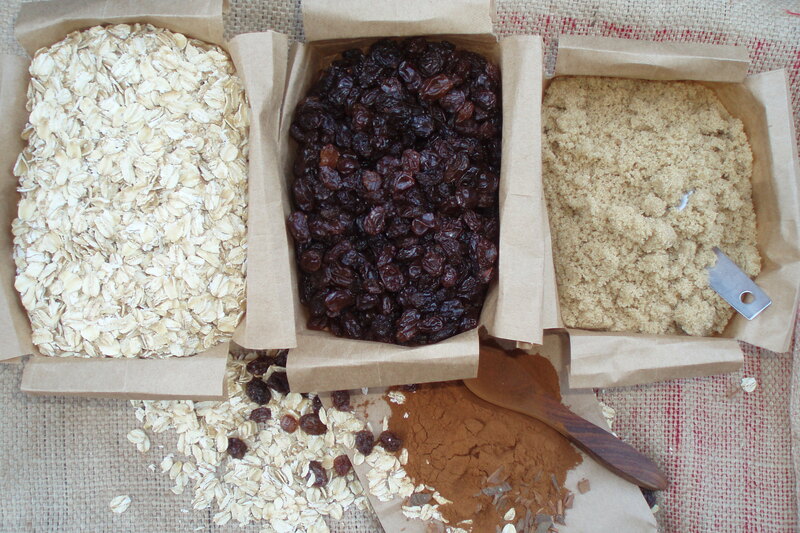 The fiber also helps hold onto nutrients and minerals giving the body a chance to absorb them. If not for fiber, the nutrients would pass through the system without benefitting us. 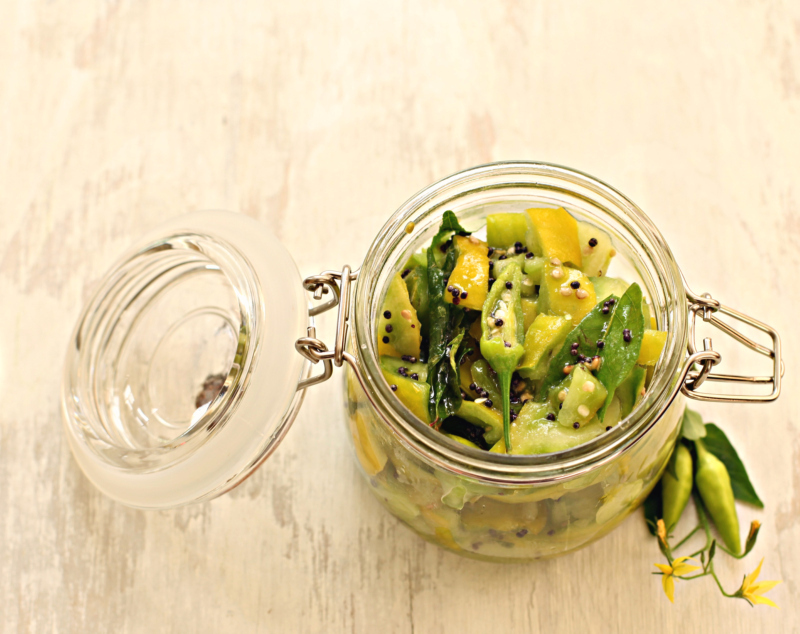 It adds a sensual quality to any food it embellishes and that is always a good thing! 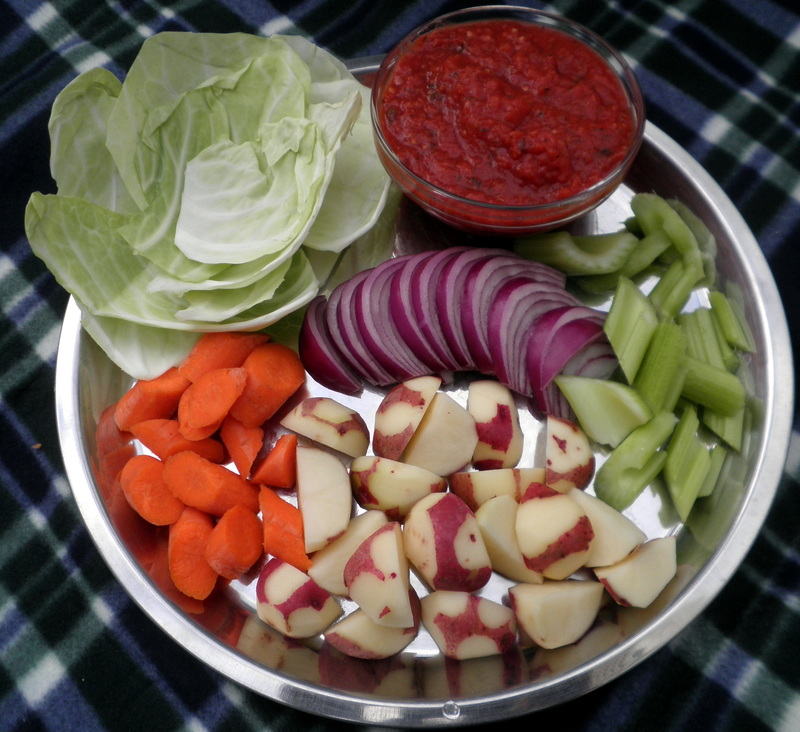 So hope you will keep this salad in your repertoire when you need a healthy antidote and it doesn’t taste shabby either. Making the curry powder. It is very important to dry roast the cumin seeds before powdering them, Roasting takes the raw, earthy edge of the cumin. January 1st, 2011 started off beautifully for me. Second to none and I made the trek to DC Central Kitchen at Washington D.C. very bright and early. 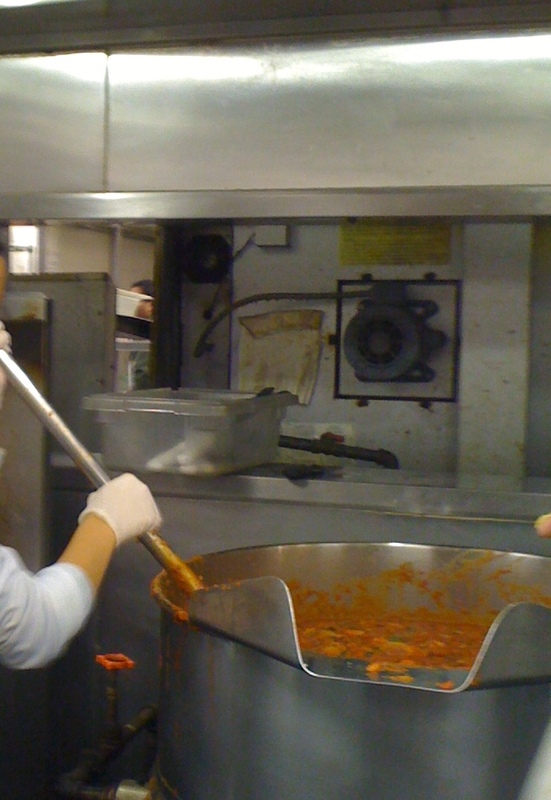 We joined other volunteers to cook for about 4500 homeless people. Our group prepared a vegetarian meal of chilli, brown rice and salad. Had so much fun with the rest of the volunteers and of course felt very good to be of service to other less fortunate people. Trekked back home. Then took a nap. 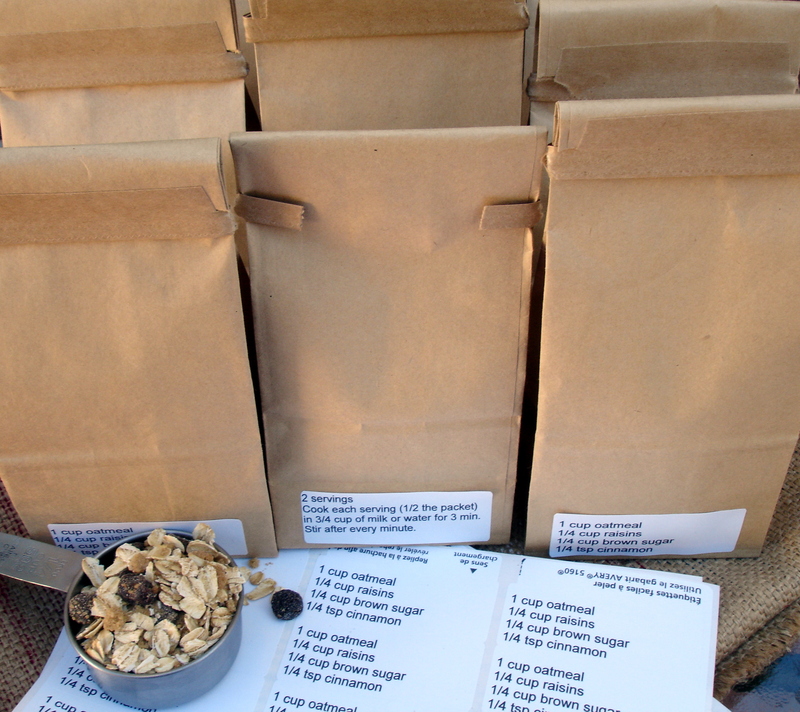 In the afternoon the whole family made over 200 bags of cinnamon, raisin oatmeal mix. Printed out labels and stuck them on these cute little soldiers. 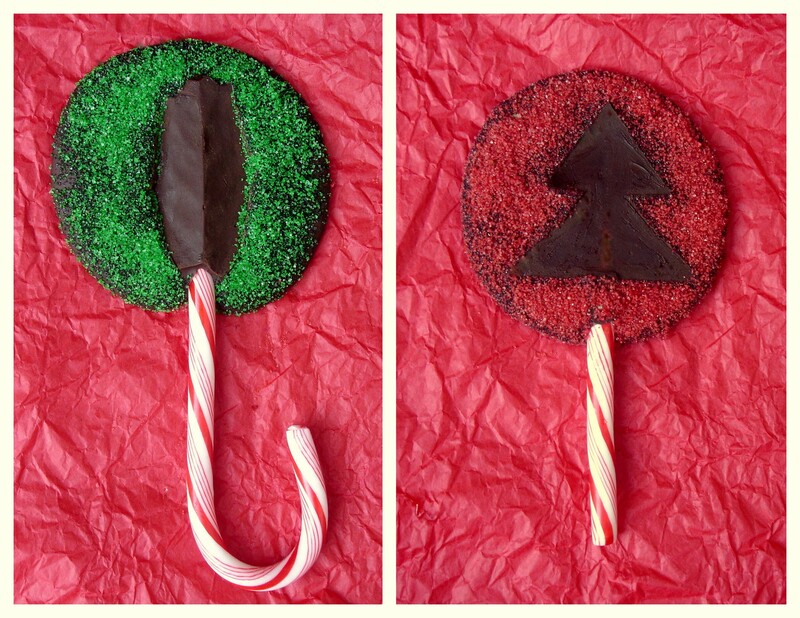 The teachers at S2None’s school are going to have a surprise in their mailboxes when school gets back in session after winter break. Each bag contains 2 generous servings of the following. Cook each serving [1/2 the bag] in 3/4 cups of water or milk in the microwave for about 3 minute stirring once every minute. It was the most hearty and delicious oatmeal we’ve ever had. My partner in crime, K is making bags of nine beans and grains with instructions on how to make soup and they will join the oatmeal bags as New Year’s gift, for our school staff. Wish all of you a very prosperous and joyous New Year.